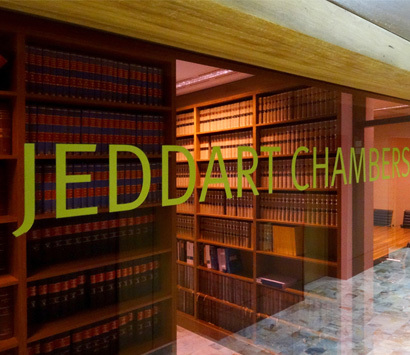 Jeddart Chambers is a leading chambers of Barristers in Brisbane, Australia, specialising in civil and commercial litigation. The chambers is located on the 35th Floor of Santos Place (32 Turbot Street, Brisbane) in close proximity to the State and Federal Courts. Jeddart has 14 members of varying seniority. Chambers’ members provide specialist advice in a diverse range of practice areas including equity and commercial law, defamation, regulatory and disciplinary proceedings, maritime law, native title, mining, energy, resources, compulsory acquisition, professional negligence, estate matters, taxation and revenue, property law, corporate law and insolvency, bankruptcy matters, administrative review, planning and environment, building and construction, insurance, personal injuries, workers’ compensation, medical negligence and health law. Members of chambers have extensive practices in trial and appellate proceedings, inquests and inquiries and alternative dispute resolution including mediation. Our Barristers aim to provide high quality, practical advice to our solicitors and clients and effective advocacy in all forums in which they appear.